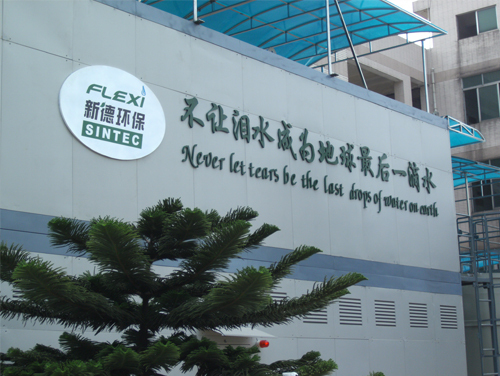 FLEXI has modular wastewater treatment systems that can be prefabricated and combined according to clientsâ€™ different types and volumes of effluent to be treated and discharged. 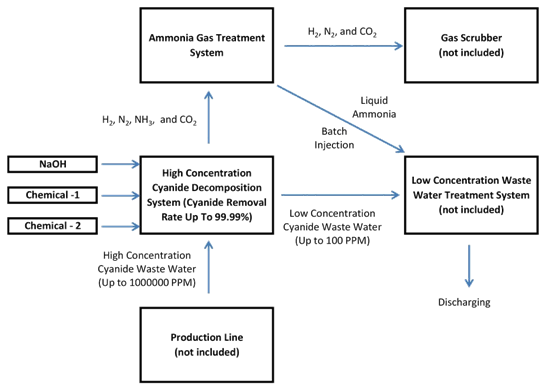 Our High Concentration Cyanide Decomposition System can treat wastewater containing cyanide with concentrations of up to hundred thousands PPM and achieve 99.99% removal rate. It does not use liquid bleach and is therefore environmentally friendly. 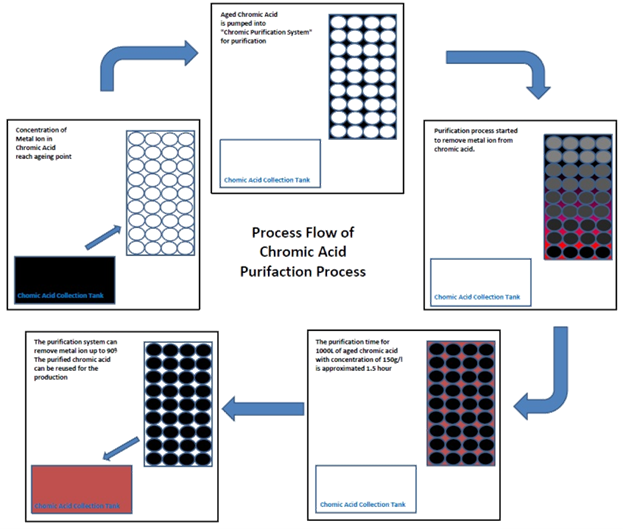 Our Chromic Acid Purification System can purify aged chromic acid and achieve 90% removal rate by using a unique type of resin in the ion exchange process. The purified chromic acid can be reused again for production processes if required. Note however that System is not suitable for chromic acid coarsening process. * Hydrochloric acid and pure water is required for regeneration process.